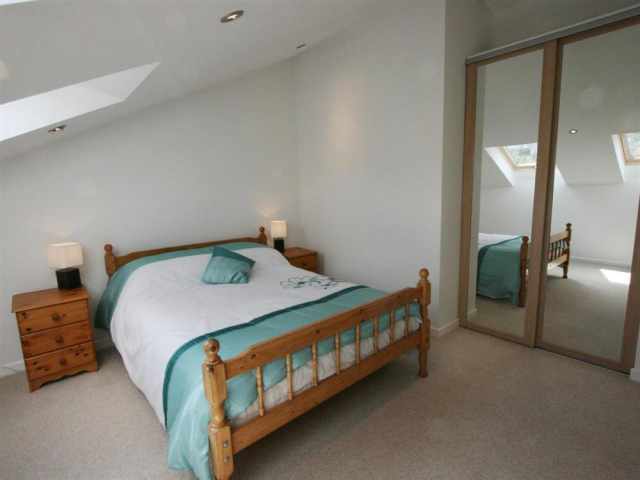 £500 refundable security deposit payable direct to owner. 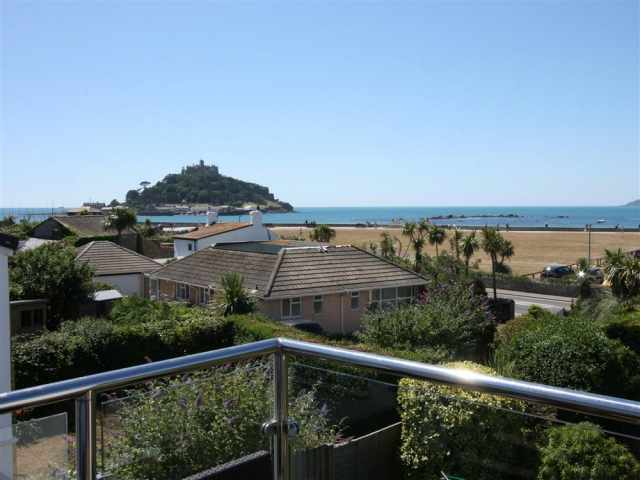 Just 300 yards from the beautiful sandy beach and with panoramic sea views overlooking Mounts Bay towards St Michael's Mount, this deceptively light and spacious semi detached family home is set in a quiet residential close. 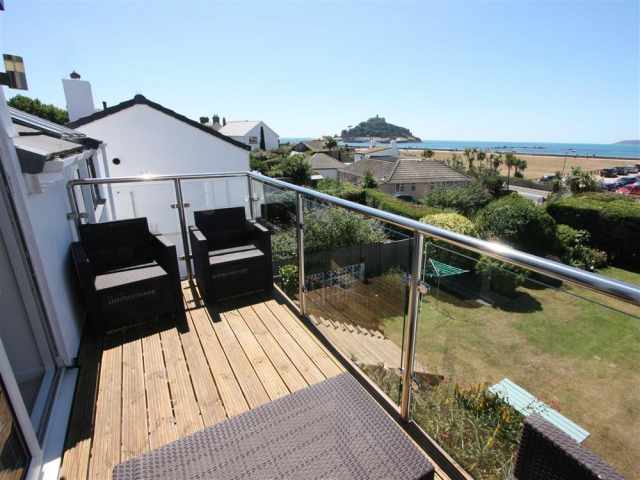 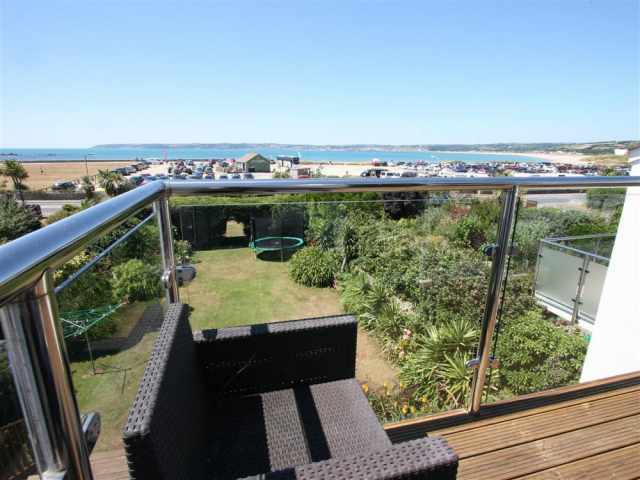 Double-glazed and furnished to a high standard, this south west facing property is ideally placed for family beach holidays and for exploring both the Coastal Footpath and the West of Cornwall by car. 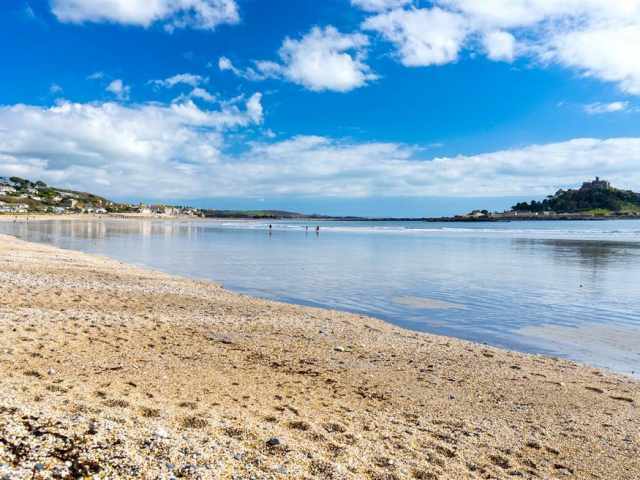 The golden sandy beach is just a two minute walk away, popular with families and for water sports and the local marshes are renowned for birdwatching. 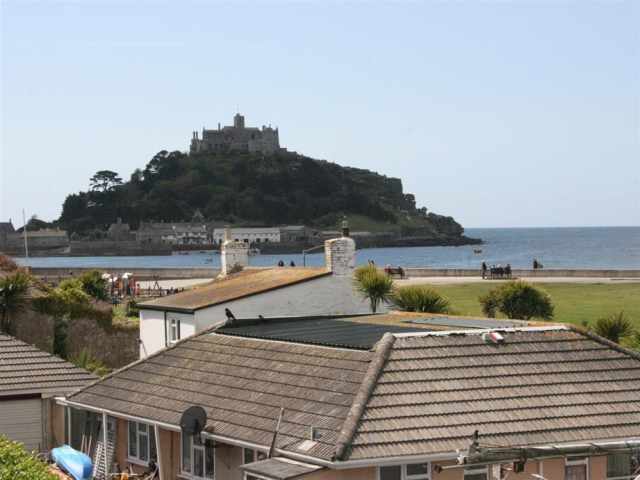 Marazion has a selection of pubs,cafes and local shops about 500 yards away, as is the causeway, which leads to St Michael's Mount at low tide. 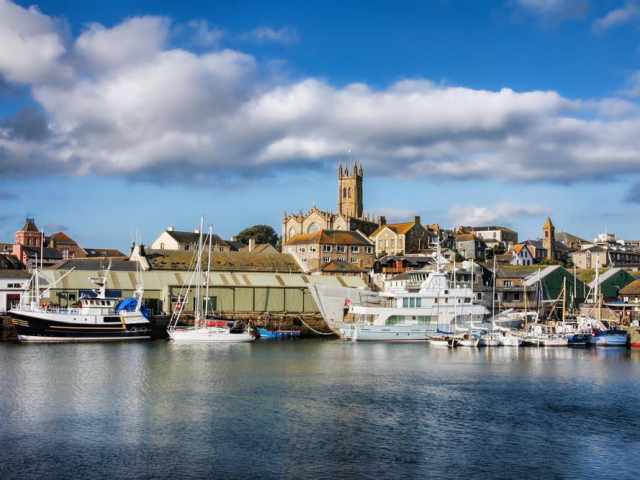 There is a local bus route that connects to the shopping town of Penzance, 2 miles, where there is a railway station and a regular ferry service to the Isles of Scilly. 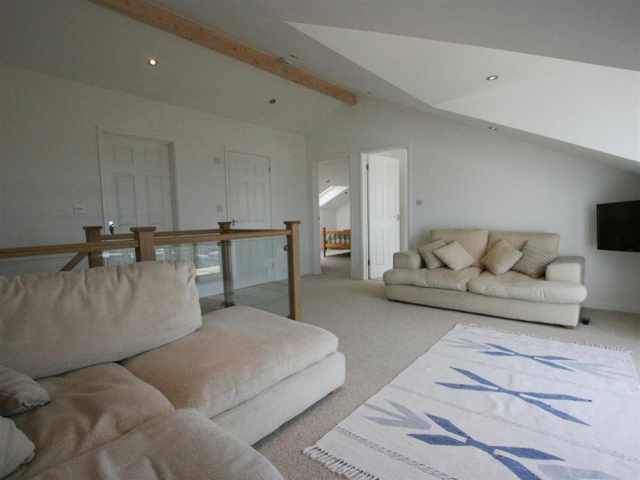 Praa Sands golf club is just a short drive and there are riding stables nearby. 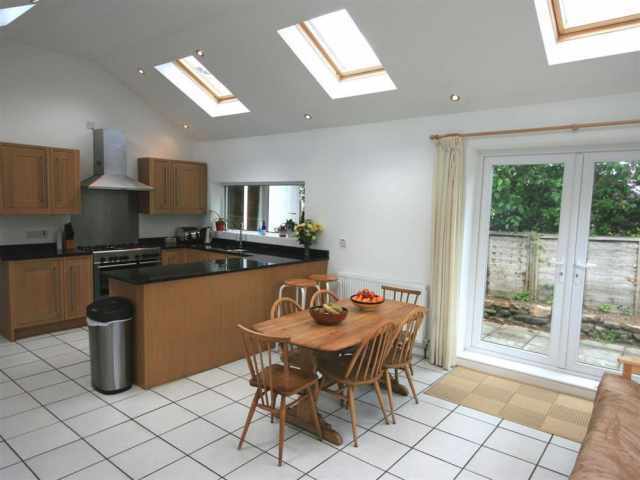 Fronted by an enclosed paved terrace that catches the morning sun, a door opens directly into a light and airy, modern fitted kitchen/dining room with electric operated Velux Windows, casual seating and French Windows opening to the patio. 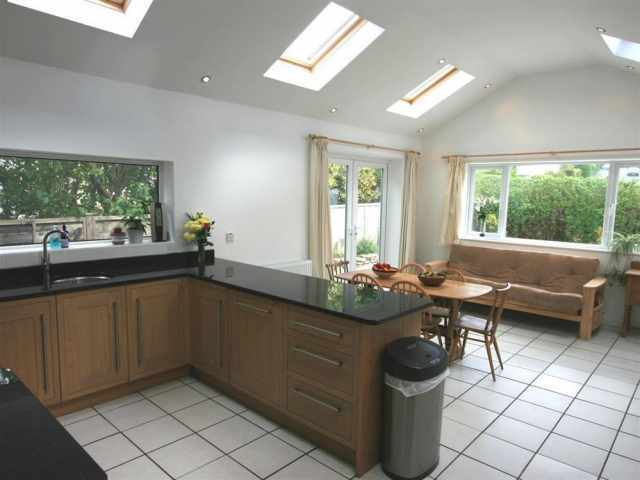 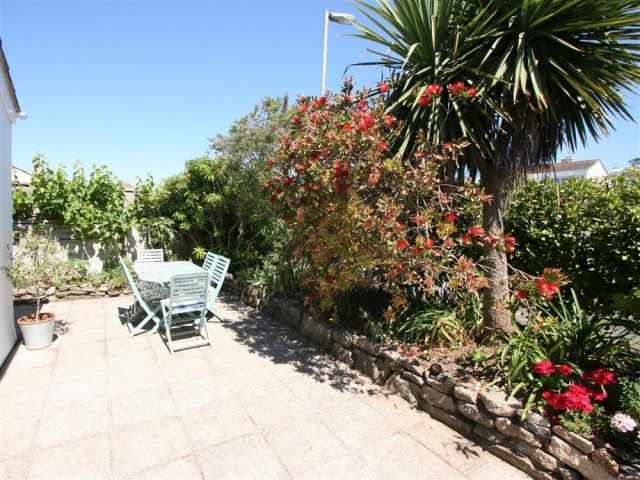 Adjacent to the kitchen is a shower room W.C. with hand basin, and access to the integral garage where there are laundry facilities and secure storage for bicycles and beach gear. 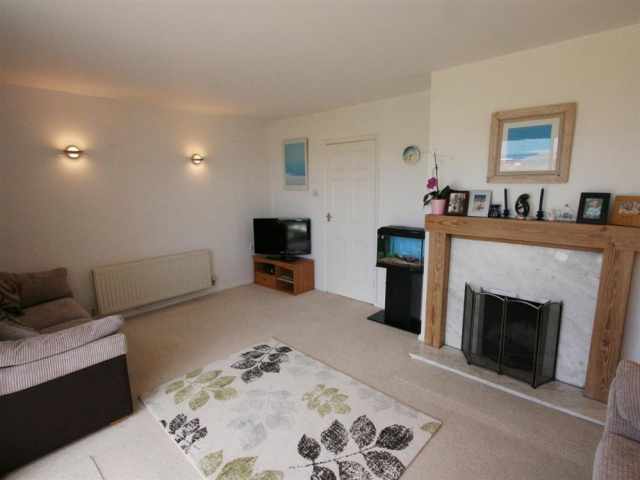 Leading off in one corner of the kitchen, an inner hallway leads to a bright and sunny sitting room with comfortable furniture, an ornamental marble fireplace and sliding patio doors enjoying wonderful sea views. 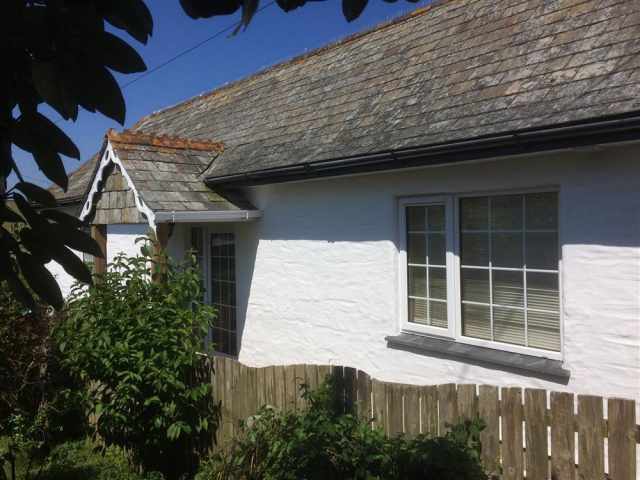 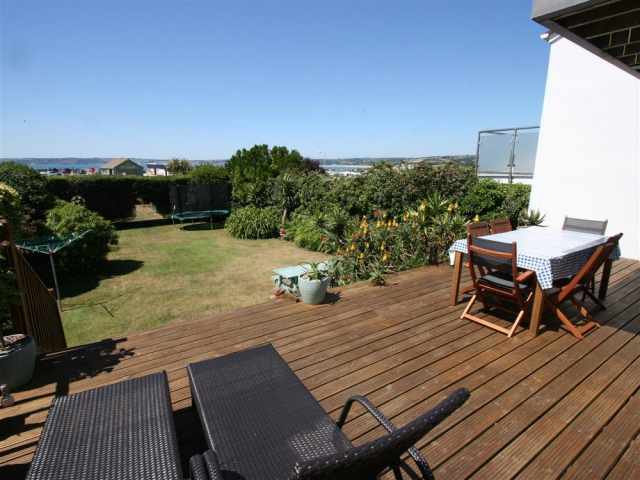 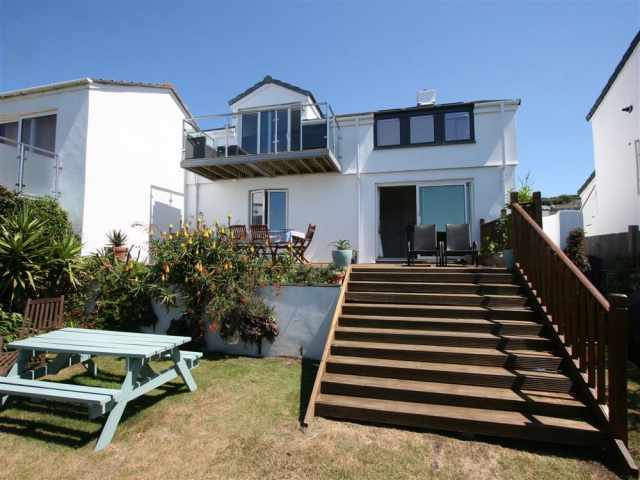 There are three ground floor bedrooms; one twin bedded room with views across the garden towards the sea, and two single bedrooms. 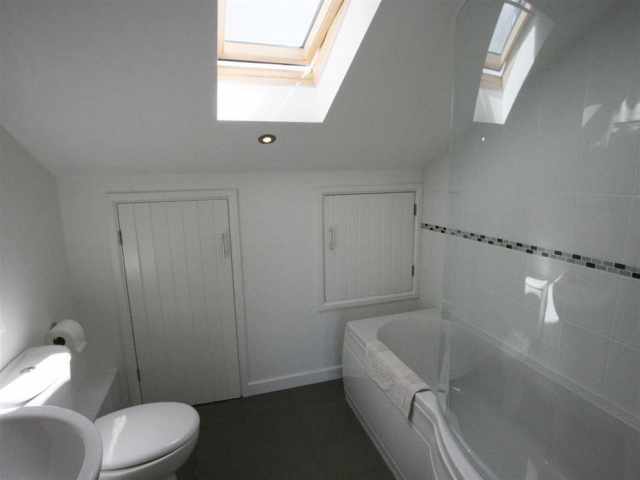 A family bathroom W.C. with bath, shower cubicle and hand basin completes the accommodation on the ground floor. 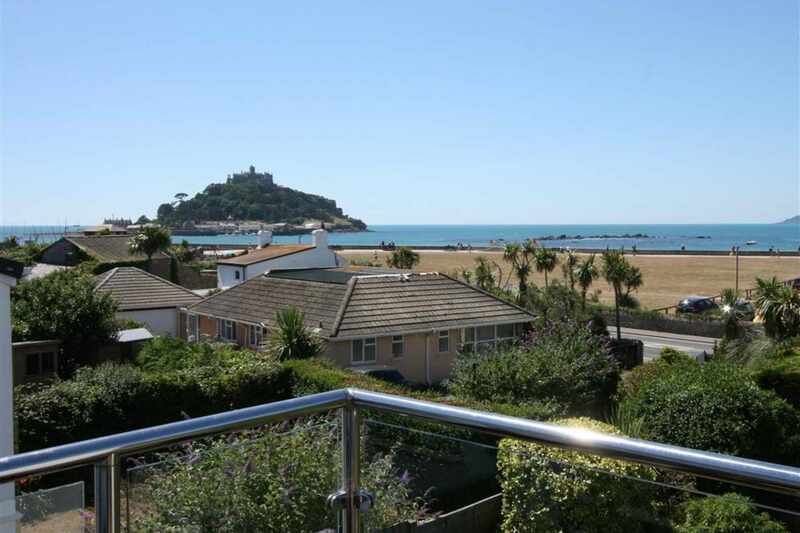 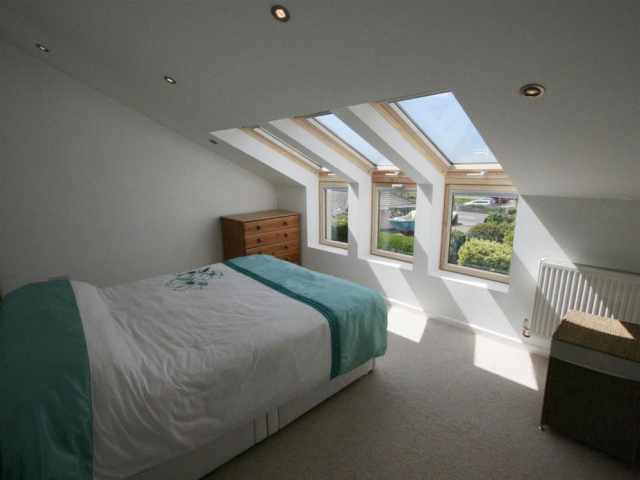 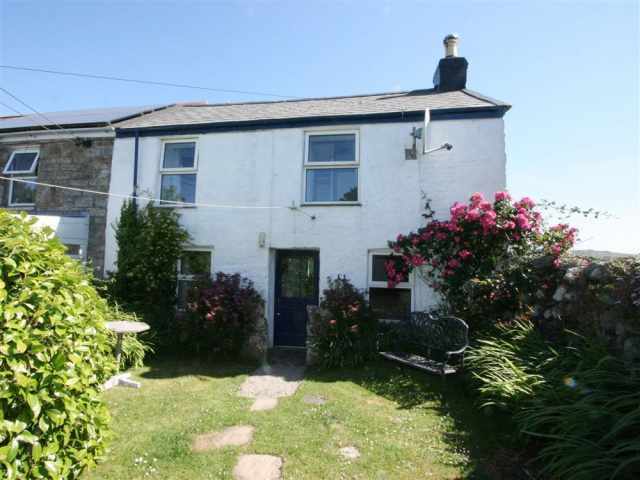 In an extension to the property, upstairs are two further bedrooms; a kingsize double on the seaward side with glorious sea views and a double bedroom, an adjacent bathroom W.C. with handbasin and shower over the bath and a second sitting room with sliding French Doors onto a balcony with glass surround and uninterrupted sea views overlooking St Michael's Mount and the Bay. 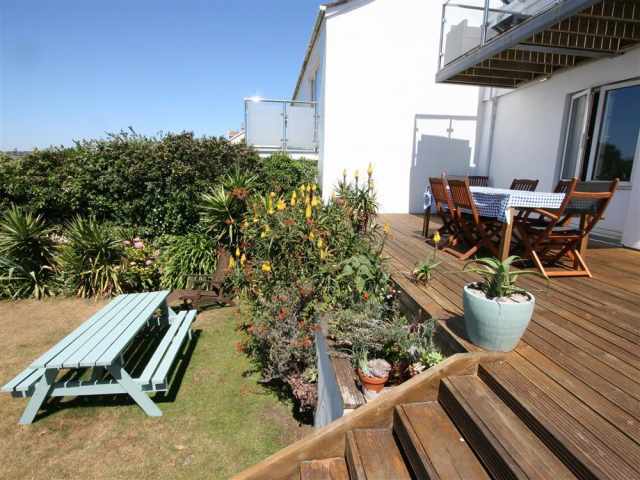 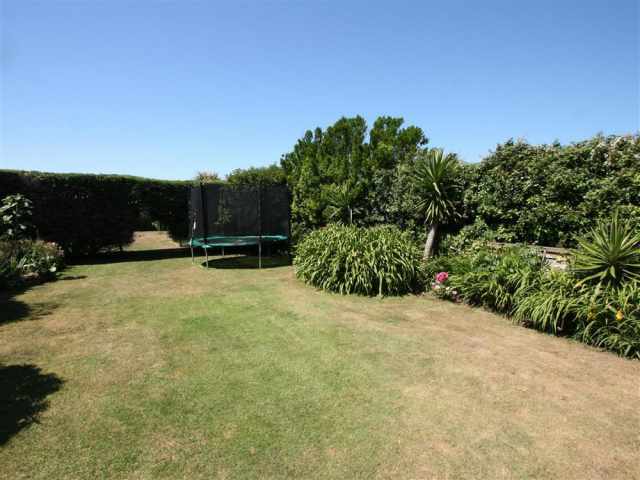 The rear garden is securely enclosed and comprises a raised sun deck that spans the width of the property, perfect for watching the sun set in the west, and a dozen railed steps lead down to a large lawn sheltered by mature shrubs. 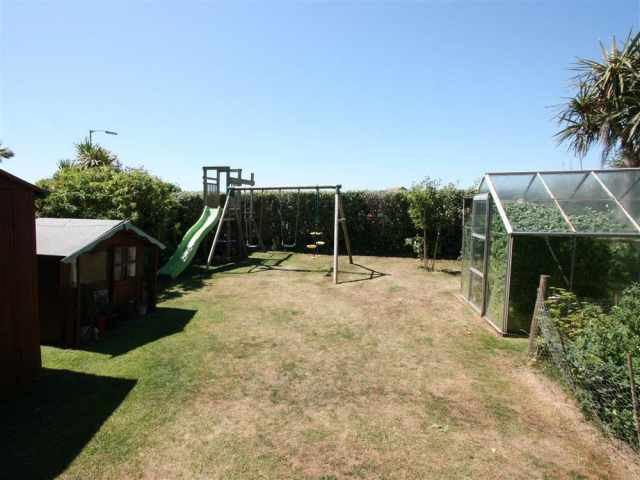 There is parking for one car on the drive with additional roadside parking nearby.